Home Articles News Professional bodies Cosmébio: your next certification body? An announcement to ‘partners’, a letter to members… Cosmébio is about to add a string to their bow and become an active player in organic cosmetics certification. The news may sound surprising and has not been announced through an official medium. When CosmeticOBS asked him about it, Cosmébio’s President Romain Ruth confirmed… and qualified it. 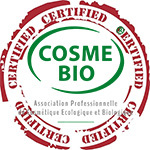 At a recent meeting on the new COSMOS-Standard, Cosmébio announced their partners (Ecocert, Soil Association, BDIH, ICEA…) that they had undertaken efforts to take to certification activities. Should the association’s political turning point be seen as a will to act as a counterbalance to Ecocert’s near-monopoly (hardly challenged by the presence of Qualité France on this market) in natural and organic cosmetics certification?